Your water well experience is important and may be of great value to someone else. Not all Water Well Testimonials are positive but many are AWESOME. Not all submitted stories are published but many are added to our published collection. If you don't want your story published then please do NOT submit it! If you have a question please feel free to ask it here as well... Colleen will often respond to questions in the form of a blog post or she will email in response. Please leave your phone # if you would like Colleen to get back to you. It's not required for questions or well story submissions. We may want to publish your story if it can be of value to others. Please do not submit if you do not want your water well story shared. Thank you! We are careful with personal data and will keep your last name private. Your last name, personal information or that of a company (unless positive) is NEVER published. We do email upon all publication of submissions. Also please note you can UPLOAD your story in a file format. The Water Well Stories are simply available to inform and educate, we often learn best through others. 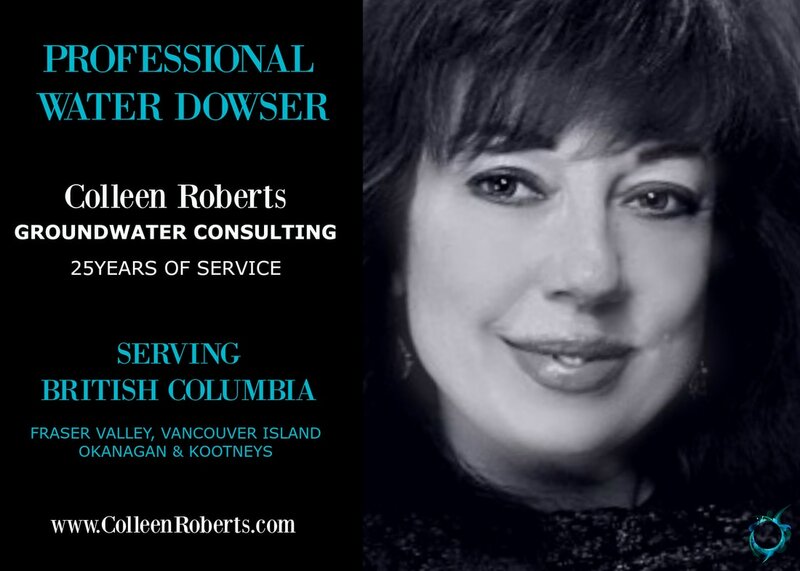 Colleen Roberts is an expert Water Dowser serving British Columbia. Water Dowsing may also be referred to Water Finding, Water Divining, Water Well Dowsing, etc.